University of Miami's Information Technology (UMIT) continues to work diligently to streamline your online experiences. 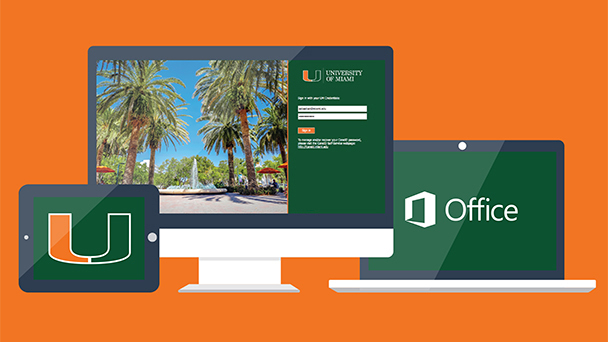 In November 2018, UMIT enabled a new login page for all Office 365 applications and services, including UM email (email.miami.edu), OneDrive, Teams, and SharePoint sites. 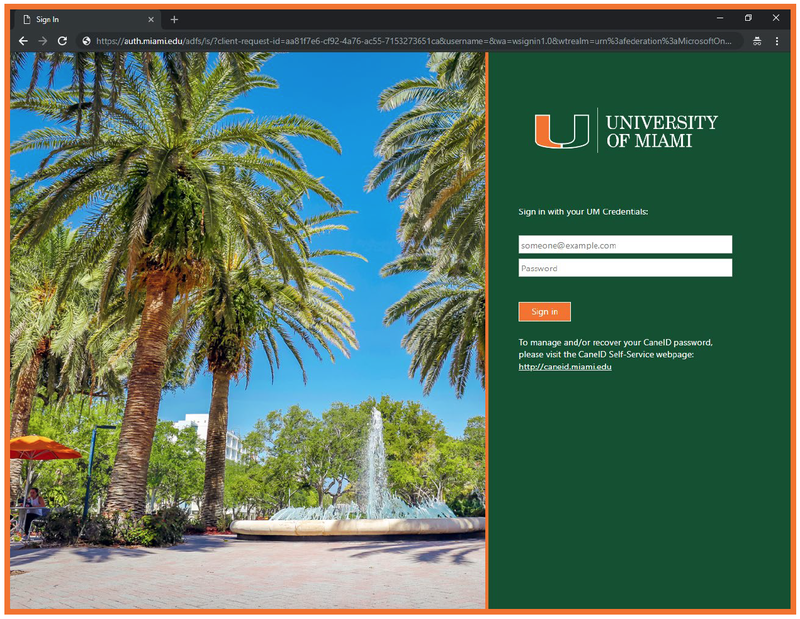 Now, when accessing Office 365 applications and services, you will enter your CaneID and password at the new login screen starting with the following URL: https://auth.miami.edu/... and you will be prompted for Duo Multi-Factor Authentication (MFA). Eventually, all UM Single Sign-On (SSO)/Duo MFA-enabled applications and services will be accessible via the new login screen. UMIT will make announcements as login enhancements are made to different UM SSO applications and services throughout 2019. If you have any questions or if you experience any technical issues, please contact the UMIT Service Desk at: (305) 284-6565 or help@miami.edu. Does this affect all University of Miami login services? : No, it only appears when signing in to Office 365 services, like UM email (email.miami.edu) or SharePoint. Services like Workday and CaneLink will not be affected. Do I need to provide my University of Miami email address when signing in? : You can provide either your CaneID and password or your UM email address and password. Will this affect the bookmarks in my Internet browser? : You will receive the new login screen if you are not already logged into an Office 365 service.